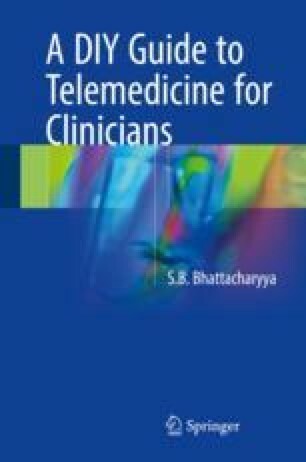 For better or for worse, telemedicine has been largely considered to refer to the “traditional” model of consultation in the practice of medicine. With medical specialities supplying a new term for any tele-enabled practice like teleradiology, tele-stroke, tele-ophthalmology, tele-dermatology, etc., the emphasis appears to be more on the clinician’s speciality than on the “care” aspects of delivery. This has by and large meant to imply teleconsultation, much to the detriment of its more widespread and better use. The term “remote care” is perhaps, therefore, a more appropriate term for what telemedicine is actually supposed to be.